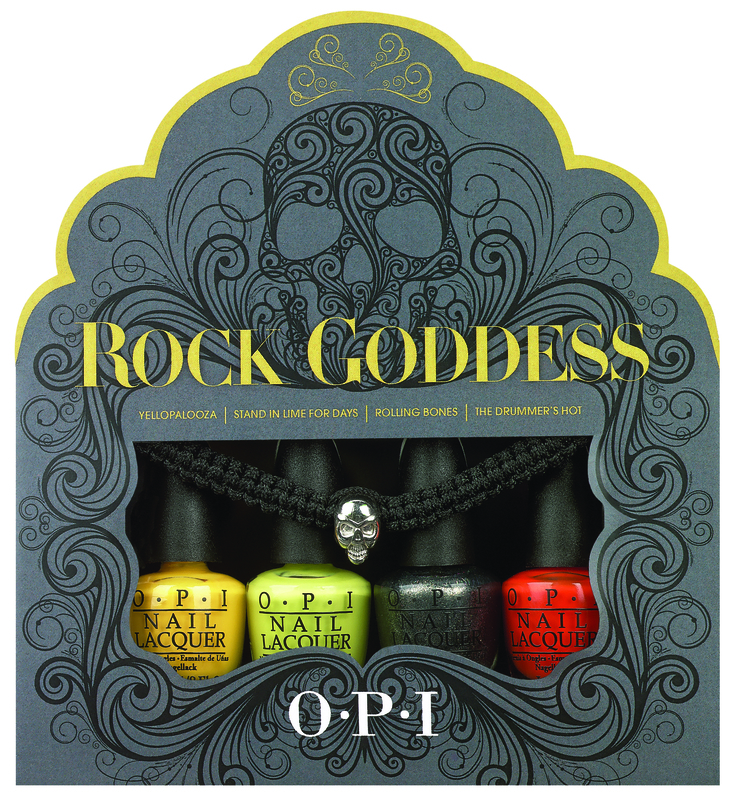 OPI releases new rocker-inspired lacquers for dressing up nails this Halloween. The new limited-edition Rock Goddess mini pack includes four mini lacquers in bold orange, citrus green, yellow and metallic platinum colors. The Rock Goddess set also includes a black, adjustable woven bracelet featuring a gleaming skull charm to complement the various nail looks that can be created with these shades. “Rock Goddess features bold hues plus a bracelet – all of which can be worn long past Halloween. These edgy, show-stopping shades allow you to release your inner rock star,” explains Suzi Weiss-Fischmann, OPI co-founder & Artistic Director. This citrusy lime green is worth the wait. This shimmery metallic has gone platinum. And so is this fiery red-ish orange. Rock Goddess will be available for a limited time beginning September 2013, at professional salons and spas for $14.95 CAN suggested retail for each mini pack. My 1st Q&A Youtube video Questions!! Ooo I must have these in my life!